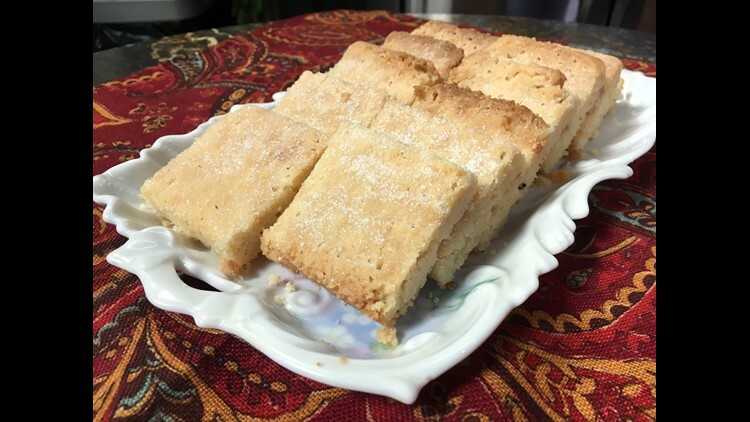 Best shortbread on the planet--and you can make it yourself! Preheat oven to 400°. Line an 8x8 inch baking dish with foil. Spray foil ever so slightly with vegetable spray. Whisk together the dry ingredients. Pour melted butter into dry ingredients. Stir quickly only until well mixed. Pour into prepared baking dish. Bake until golden. Remove from oven, score into squares and sprinkle with sugar. Cool, cut on scored lines. Enjoy!! Recipe compliments of Ann Keiser.